At the core of offering compelling health services to modern day patients lies the ability of a company to deliver amazing digital marketing campaigns that build awareness around a specific medical brand, entice users to change health providers and convert new customers looking for medical services. As we approach the end of 2018, many healthcare marketers are looking ahead to determine the appropriate marketing mix for 2019, prioritize new digital offerings and create experiences that delight & convert. In light of that, we think it’s important to take a fresh look at the tried-and-true digital marketing strategies that can help improve your healthcare company digital presence in 2019. In 2018 we have seen some incredible healthcare website design techniques used to create unique digital experiences for modern buyers. For many years (decades even!) the healthcare industry has been rather resistant to digital innovation. That applies to leveraging technologies, user experiences and design principles. That said, in recent years we’ve seen a tectonic shift towards designing & building web experiences that are geared towards the 21st century online buyer. In an era where 70% of patients go to Google to look up symptoms, remedies and health organizations to engage with, many healthcare marketers are finally realizing that a clean, intuitive and sleek website is the new business card for any healthcare organization out there. As a result, healthcare marketers are leading the path towards creating great digital experiences. In the healthcare space, that includes simple & intuitive websites, investing in mobile-responsive websites, creating bigger and brighter calls-to-action and using copywriters who can translate complex medical concepts into lay terms that everyone can follow. But building a modern website is only the beginning of digital innovation. It is, if you will, a foundational piece of a healthcare marketer’s job. So here are five additional tips that you can implement in order to take your healthcare marketing efforts to the next level. Marketing works only if it’s done well. The days when healthcare professionals treat every patient like there’s one unique group are long gone. The reality is that you can’t simply use one general marketing strategy for every type of patient you cater to, or one strategy for every service you provide. So in 2019, consider creating an individual marketing strategy for each service you provide and for different audiences. It’s a step that you can’t neglect. So figure out who your ideal audience is. It’s ok if you have more than one. The point is simple: you cannot treat all patients as one audience. So if your company operates in an area with predominantly white, middle-class, affluent buyers, your marketing efforts would be very different than a middle class gentrified neighborhood. The key to success is to map out the different user personas and then define strategies that work for each of them. For example, OneMedical is a clinic that offers medical services to busy professionals and Chicago marketing companies. If you look at their website, their branding is all around how their clinics provide access to doctors on the same day, how their appointments are always on time and how costs are very affordable for companies. This is the type of hyper-personalization you should consider for your health organization in 2019. Also Checkout The Chinese Conundrum: Will China Ban Vaporizers? Many healthcare organizations are beginning to realize the power of content marketing in attracting a digitally-savvy crowd to their websites. In the past, many companies had used very limited content assets on their digital platforms. Not anymore. Modern consumers LOVE to be informed. So one of the big shifts in healthcare marketing in 2018 has been to focus on creating targeted content for different user personas, all under one umbrella of healthcare organizations catering to many different needs. If you want to scale up your website traffic, then you must pay attention to the content you use online. Your patients seek information from your site, and that is what you should deliver too. Even Google’s ranking system gives priority to the quality of content and usefulness of information presented online. In 2019, you need to think of your healthcare company as a media company – whose job is to keep its customers educated and informed at all times. Innovation is the key to staying ahead of your competition as well as promoting your brand name. One of the most innovative, and some may argue, most unexpected trends in healthcare marketing this year has been driven by the rise in popularity of voice technologies such as Amazon Alexa, Siri, Cortana and Google Voice. According to Amazon, 50 million users are already leveraging voice search on a daily basis. 80% of smartphone users have used voice search online in the last year. Due to the rise in popularity of voice search, health organizations should really consider investing in voice technologies in 2019. But there’s another reason why voice technologies are appealing to health professionals. Most health organizations are local. When getting treatment, most patients search for hospitals and health organizations in their general area. In 2018, Google has started prioritizing voice-enabled search results at a local level. In other words, companies that have their websites optimized for voice search are more likely to appear in search results. That gives health marketing teams interested in local SEO an edge. Voice searches are the future, as we become more and more comfortable with this tech stack. Any healthcare marketing groups interesting in trying innovative techniques in 2019, should absolutely consider voice technologies as a prime candidate for their digital roadmaps next year. 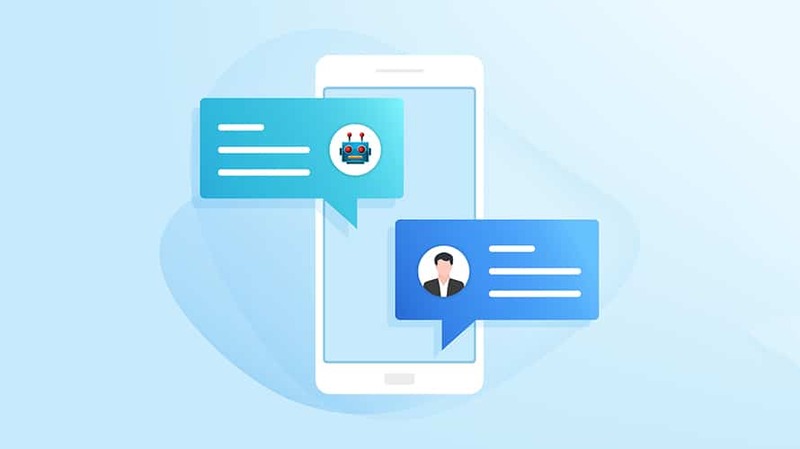 Chatbot assistance is increasing in popularity and the healthcare sector is one where chatbots are perfectly positioned to reduce cost, increase patient satisfaction and improve the overall delivery of care. Using chatbots on your health website will give a strong competitive advantage against your competitors. Chatbots in healthcare are increasingly being used to collect patient information, alert doctors of cases that require their attention and following up on drug compliance procedures. For example, earlier this year Izzy Healthcare released one chatbot which “helps keep care affordable by automating tasks like administering question-based assessments and checking in with patients on their symptoms and progress.” The future of chatbots in healthcare are endless. And as the technology itself is very cost-effective, we anticipate more and more health organizations will make use of this great technology in 2019. Knowing how you are progressing with your marketing efforts is essential to the overall success of your marketing campaigns. Healthcare marketers are becoming more and more sophisticated as they deploy complex analytics solutions to better track their campaigns’ results, engagement metrics and overall progress. In 2019, consider investing in various analytics solutions. From social media management analytics, to Google Tag Managers, Mixpanel or Amplitude analytics, and everything in between – the future is bright for the marketers who really understand that the time is now to have a robust analytics framework which is bound to help you turn data into insights, and insights into action. With the improvement in health technologies, you can use the latest tools and techniques to deliver better healthcare services at low cost and to gain more business. We hope these healthcare marketing trends will make it to your list next year. And that they will help you boost your online business, attract new customers and re-engage with your current patients in 2019.